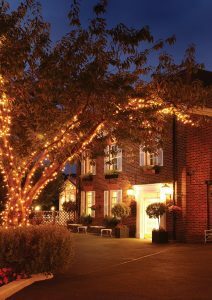 The multiple award-winning Macdonald Compleat Angler Hotel provides a romantic and picturesque venue for weddings, civil ceremonies and partnerships. Ideally situated, this riverside retreat is within easy reach of Heathrow airport and benefits from regular rail connections to London. The 400-year-old country house offers a variety of options for your memorable day, whether it is a small intimate gathering or grand celebration. 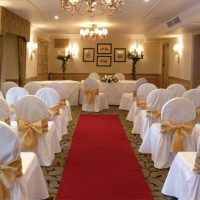 Regardless of the size of the ceremony, you can enjoy exclusive use of the Regency suite. Comprised of three elegantly decorated rooms you can mix and match to suit your requirements. Accommodating up to 120 seated guests or 180 reception guests. 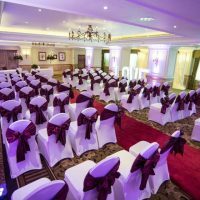 Classically decorated in neutral tones, the Regency room provides a sophisticated setting for declaring your commitment to each other. Bathed in natural light, the room benefits from its own private entrance and access to the covered terrace that overlooks the river. Accommodating up to 30 seated guests or 50 reception guests. Warmly lit via chandelier lighting, the Thames Room is the perfect space for a smaller, intimate ceremony. Awash with natural light from the doors leading to the covered terrace, guests can enjoy spectacular views of the tranquil river. Accommodating up to 48 dining guests or 50 reception guests. 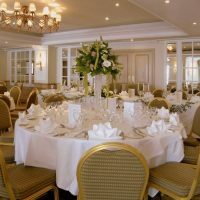 Adjacent to the Thames and Regency rooms is the elegant River Room. Perfect for modest celebrations, guests can wander onto the covered terrace and soak up the stunning panorama of the river Thames. 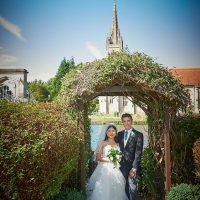 Whether you want to relax and enjoy the stress-free benefits of a set package or want to create your own unique vision with a bespoke ceremony, there is an option for you. Dedicated wedding coordinators will work with you right up till the special day to ensure you take home memories to last a lifetime.